There have been a number of EU proposals to deal with the perceived ‘refugee crisis’ in Europe over the last year. The latest batch, issued this week, are perhaps the most significant to date. 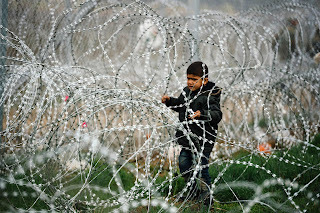 They concern three related issues: visas (notably a short-term Schengen visa waiver for Turkish nationals); Schengen (partly suspending the open borders rules for six months); and asylum (changing the Dublin system on responsibility for asylum seekers, and creating a new EU asylum agency). Further proposals on legal migration and other EU asylum laws are coming in the months ahead. Essentially, these proposals amount to the ‘Orbanisation’ of EU asylum law. They copy and entrench across the EU the key elements of the Hungarian government’s policy, which was initially criticized: refusing essentially all asylum-seekers at the external border and treating them as harshly as possible so as to maintain the Schengen open borders system. The surge in the number of refugees and migrants coming into the EU since 2014 led initially to a discordant response from Member States, with Germany and Sweden initially welcoming the arrivals and Hungary trying to stop them. Last September, in a bid to modestly assist the ‘frontline’ border states of Greece and Italy with the large numbers of asylum-seekers, the EU adopted two Decisions on ‘relocation’ (discussed here), in principle taking up to 160,000 asylum-seekers off those countries’ hands and distributing them among other Member States. However, this ‘Plan A’ was ineffective, as some Member States refused to cooperate (even launching legal action) and the remainder relocated very few people. So ‘Plan B’ was developed: an EU/Turkey deal whereby Turkey either prevented the large number of refugees on its territory from leaving, or readmitted them back from the EU if they did reach EU territory (which in practice usually means the Greek islands). To implement this, Greece agreed to treat Turkey as a ‘safe third country’ or a ‘first country of asylum’ under EU asylum law, with the result that claims were treated as inadmissible. As discussed earlier on this blog, this is a highly dubious interpretation of the law. To induce Turkey to cooperate, the EU agreed to spend money on the welfare of Syrian refugees in Turkey, and to drop the short-term visa requirement for Turkish citizens to visit the EU countries in the Schengen system. (It also agreed to open one more ‘negotiating chapter’ relating to Turkish accession to the EU, but this is a trivial concession: only one of these 35 chapters has been agreed to date, in 11 years of accession negotiations). In the meantime, many Member States became concerned about the numbers of migrants and refugees reaching their territories, and so resumed checks on the previously open borders between Schengen states. However, under the relevant Schengen rules dating from 2013 (on which, see my thinktank report on the Schengen system here), the authority to do this will soon expire, unless the EU as a whole agrees to suspend the Schengen system for one or more periods of six months. This prospect has been mooted since December 2015 (as discussed in detail here). So this week’s proposals aim to implement and entrench these policy developments: waiving the visa requirement for Turkey; allowing a limited suspension of Schengen; and amending the Dublin system to reflect the EU/Turkey agreement, to deter asylum-seekers from moving between Member States (allowing Schengen to be fully reinstated) and to incorporate a new version of the failing relocation rules. All of these measures are related, but I will examine each of them in turn. There are three separate proposals to amend the EU visa list. All of them need to be agreed by the European Parliament, as well as a qualified majority of participating Member States in the EU Council. The proposals, if adopted, would not apply to the UK and Ireland, which have their own laws on visa requirements (or waivers) for non-EU countries, due to an opt-out from the EU’s visa laws. That opt-out forms part of those countries’ overall opt-out from the Schengen system, which allows the UK to check people at its borders and refuse entry to non-EU citizens based (mostly) on UK law. It is therefore dishonest to suggest that the proposals would lead to an increased migrant influx into the UK. Indeed the UK’s withdrawal from the EU would not change the rules at all as regards non-EU citizens seeking to enter the UK from (the rest of) the EU – other than the small minority who apply for asylum or who are family members of EU citizens. These proposals would, in turn: a) waive visa requirements for Turkish citizens; b) waive visa requirements for Kosovo; and c) make it easier to reimpose visa requirements in the event of immigration control issues. It should be noted that the Commission also recently proposed to waive visa requirements for Ukraine and Georgia; those proposals are still under discussion. All these proposals would, if adopted, amend the EU’s main law on visa lists, which dates initially from 2001. That law has been amended many times since, without any official codification of those amendments, but I have codified it unofficially here. Note that the visa waiver would apply to Turkish citizens, not to Turkish residents like the refugees from other countries living there. The visa waiver for Kosovo is not linked to the overall refugee crisis, but rather to the policy of strengthening relations with EU neighbours, in part as an incentive for them to settle their own disputes. The Commission report on Kosovo fulfilling the requirements for visa waivers refers in particular to a recent border agreement between Kosovo and Montenegro. It also refers to meeting the requirements as regards readmission, reintegration, document security and organised crime. As for Turkey, there is obviously a direct link with the EU/Turkey refugee deal. A fast-track visa waiver was promised to Turkey as part of that deal. But it is still subject to Turkey meeting the EU’s conditions. According to the Commission’s report, Turkey meets all but 7 of 72 requirements: the exceptions relate to issues like readmission, corruption, terrorism and document security, and the Commission believes that they will be fulfilled by the time the visa waiver is granted. In any event, the document security point is addressed by limiting the visa waiver to those with biometric passports. A longer staff working document elaborates on this assessment, but it is not convincing on several points. As regards asylum issues, it states that the obligation to lift the geographical limitation on the Geneva Refugee Convention (which means that Turkey only fully recognises Europeans as refugees) is met by Turkey because that country treats non-Europeans just as well as if they are refugees. But it skips over the lack of work permits for refugees who are not Syrians. It also concludes that Turkey does not refoule refugees to dangerous countries (as alleged by NGOs) simply by accepting Turkey’s word to the contrary. The Commission also waives the obligation for Turkey to ratify Protocol 7 to the European Convention on Human Rights, on the grounds that its national law offers equivalent protection. But if so, why be afraid of the supervision of the European Court of Human Rights on these issues? And it is only clear reading the staff working document that the (unresolved) concerns about ‘terrorism’ laws are actually concerns about misuse of terrorism law to crack down on freedom of expression. The main report does not even flag this as one of the most significant concerns. And the existence of these concerns gives the lie to the Commission’s argument (in an earlier proposal, still under discussion) that human rights in Turkey are so well protected as to classify Turkey as a ‘safe country of origin’ for asylum purposes. The proposal to reimpose visa requirements more easily is implicitly linked to the Turkish visa waiver proposal, although in fact it could apply to any State on the visa waiver list (the ‘white list’). The current rules, dating from 2013, allow ‘emergency’ reimposition of a visa requirement by the EU Commission for a six-month period, renewable for another six months if the Commission proposes to amend the law to make this permanent. This temporary Commission decision can be blocked by Member States, but does not need the approval of the European Parliament. The grounds for it are ‘sudden and substantial’ increases in irregular migration, rejected asylum applications or rejected readmission applications from the country concerned. There are some further details of these rules in the preamble to the 2013 law. A ‘substantial’ increase is an increase above 50%, and a low rate of recognition of asylum applications constitutes 3% or 4%, although in either the Commission could choose to use a different number. Reimposition of visas is not automatic: there is a diplomatic phase during which the Commission talks to the officials of the other country and warns them to take action in light of the impending threat. The Commission will only propose reimposition if it is not satisfied with the outcome of these talks. So far it has not done so. Basically the new proposal would make it easier to reimpose visas in several ways. First of all, it would no longer be an ‘emergency’ or ‘last resort’ decision, and the increases in irregular migration, rejected asylum applications or rejected readmission applications would no longer have to be ‘sudden’. Secondly, the reference period for examining the increased irregular migration, etc would no longer be over six months, but over two months. Third, the increase in asylum applications would no longer have to lead to ‘specific pressure’ on asylum systems; so there would need not be a large absolute number of asylum applicants from the country concerned, just a large relative increase in the number of applications. Fourth, the rejected readmission applications would relate not only to citizens of the country concerned, but also to citizens of other countries who transited through that State’s territory. This is obviously aimed at enforcing the key feature of the EU/Turkey plan: the readmission of refugees to Turkey. Fifth, the possibility of triggering reimposition of visas as compared to the period before the visa requirement was dropped would now apply indefinitely, and would no longer expire after seven years. The immediate impact of this change would be on Western Balkans countries, where (apart from Kosovo) the EU waived visa requirements in 2009 and 2010. Sixth, the Commission can trigger the clause, not just Member States. It could act on the same grounds plus an additional ground of failure to apply a readmission deal with the EU as a whole. Again, the final point aims at enforcing the EU/Turkey refugee deal. If Turkey does stop readmitting refugees, the EU can swiftly react by reimposing visa requirements. This works both ways, of course: if the EU threatens to reimpose visas on Turkish citizens on some other ground, such as an increase in Turkish citizens overstaying without authorization, then Turkey will likely refuse to take back refugees. Indeed, as discussed above, Turkey is threatening to do this if the EU does not waive the visa requirements in the first place – which accounts for the EU’s haste on this point. Finally, a side issue (relating only to Turkey) is worth discussing. The EU/Turkey association agreement has a Protocol, signed in 1970, that sets a standstill on the free movement of services and freedom of establishment. That means the EU and its Member States can’t make the rules on these issues stricter than they were when the Protocol was signed. The CJEU has also ruled that if the rules are made more liberal than when the Protocol was signed, they can’t be made less liberal after that point without violating the standstill (Toprak and Oguz). While the standstill rule doesn’t apply to tourist visas (Demirkan), it does apply to visas for short-term economic activity (Soysal). So would the standstill rule in the association agreement prevent the EU from reimposing visas for economic activity by Turkish citizens? In its case law (see most recently Genc, discussed here), the CJEU has said that the standstill rule can be overridden on public interest grounds. So far the case law on this point has concerned integration of family members, although it could also be argued that the objective of preventing irregular migration is also a valid ground to override the standstill. In fact, the CJEU has been asked whether migration control objectives can override it, in the pending case of Tekdemir. However, this case won’t be decided until well after June (when Turkey wants the visa waiver in place); and like the earlier cases, it concerns legal migration. The idea of suspending Schengen for up to two years was originally mooted back in December – as I discussed in detail at the time. The mechanics of the process, as I detailed there, have been grinding away for some time. Now we have nearly reached the final stage: a Commission Recommendation for a Council Recommendation to suspend Schengen. Once the Council adopts this (by a qualified majority of Schengen states), the suspension can go ahead. However, the Commission has tried to limit this suspension in time and in space. It would only apply to Germany, Austria, Sweden, Denmark and Norway (where the unilateral authority to suspend border controls is about to expire), and only for an initial period of six months. The Commission argues that the tightening of EU immigration and asylum law should have had sufficient effect by then, so a further suspension would not be justified. Time will tell if this is true: the Schengen rules allow for three six-month extensions of the initial suspension. For legal reasons, as I discussed in the earlier blog post, the suspension has to be based on blaming a Member State for insufficient control of its external borders. Obviously, the Commission has named Greece. But it has warm words for Greece’s efforts in the last few months, and flights to and from Greece to the Schengen zone will not be affected. This rather measured and proportionate approach contrasts with the Commission's asylum proposals - to which we now turn. Again, there are three separate proposals, all of which need to be agreed by the European Parliament, as well as a qualified majority of participating Member States in the EU Council. First of all, the current Dublin III Regulation, which sets out rules determining which Member State is responsible for an asylum application, would be replaced by a new Regulation – which I will call ‘Dublin IV’. Secondly, the current Eurodac Regulation, which supplements the Dublin Regulation by providing for the storage and comparison fingerprints of asylum-seekers and those who crossed the border irregularly, will also be replaced by a new Eurodac Regulation. Thirdly, the current law establishing an EU agency known as EASO (the European Asylum Support Office), would be replaced by a new law creating an EU Agency for Asylum (the ‘EU Asylum Agency’). This is just one batch of proposals: as the previous Commission communication from April (discussed here) set out, it will also soon propose new laws to amend the existing laws on qualification (definition) of refugees and people needing subsidiary protection status, asylum procedures, and reception conditions for asylum-seekers. In effect, this will amount to a third phase of the Common European Asylum System. Currently, the UK and Ireland have opted in to the EU laws regarding Dublin, Eurodac and EASO. They opted out of the second-phase asylum Directives, but are covered by the first-phase Directives (except Ireland never opted in to the first-phase reception conditions Directive). Denmark and the Schengen associates (Norway, Iceland, Switzerland and Liechtenstein) participate in these laws on the basis of treaties with the EU. It would be up to the UK and Ireland to decide whether to participate in the new proposals; if not, the current Regulations continue to apply. If they opt out of the discussions on the proposals, they could still opt in later after adoption of the legislation, if they find that the final result is more to their liking than they had feared at the outset. Denmark and the Schengen associates could refuse to participate, but in that case their treaties with the EU will automatically terminate. In the event of Brexit, the UK would no longer be subject to any of the EU asylum laws it is now participating in, unless the EU and the UK negotiate an agreement to that effect. It should be noted that the EU has in practice only ever been willing to extend the Dublin rules to non-EU States if those States are also Schengen associates. (Indeed in some cases, the Dublin and Schengen association treaties have been negotiated as a package). I will start with the least contentious of the new proposals. Currently, EASO has a number of practical cooperation tasks. In particular, it must: ‘organise, promote and coordinate’ the exchange of information and identify and pool good practice, as well as activities relating to country-of-origin information (ie, information about conditions in asylum seekers’ countries of origin), including gathering and analysis of that information and drafting reports on that information; assist with the voluntary transfer of persons granted international protection status within the EU; support training for national administrations and courts, including the development of an EU asylum curriculum; and coordinate and exchange information on the operation of EU external asylum measures. For Member States under ‘particular pressure’, the Office must gather information concerning possible emergency measures, set up an early warning system to alert Member States to mass influxes of asylum seekers, help such Member States to analyse asylum applications and establish reception conditions, and set up ‘asylum teams’. For its contribution to the implementation of the Common European Asylum System, the Office gathers information on national authorities’ application of EU asylum law, as well as national legislation and case law on asylum issues. It also draws up an annual report on the situation regarding asylum in the EU. At the request of the Commission, the Office may draw up ‘technical documents on the implementation of the asylum instruments of the Union, including guidelines and operating manuals.’ The Office can also deploy ‘asylum support teams’ on the territory of a requesting Member State, in order to provide ‘in particular expertise in relation to interpreting services, information on countries of origin and knowledge of the handling and management of asylum cases’. How would the EU Asylum Agency be different? As with the parallel proposal for a European Border Guard (discussed here), the Agency would not replace national administrations, but play a bigger role coordinating them. The main changes are: an obligation to exchange information with the Agency; a stronger role in analysis of the situation of countries of origin, including advice on alleged ‘safe countries of origin’; the development of guidance on applying EU asylum law; monitoring of the Common European Asylum System, including the capacity of Member States to apply it; and increased operational and technical assistance for Member States. An indication of the bigger role for the Agency as compared to EASO will be the planned increase in staff – from about 150 to around 500. The current Regulation requires Member States to take the fingerprints of all asylum-seekers and irregular border crossers over 14 years old. This information is then stored in the Eurodac computer system. Every asylum-seeker’s fingerprints are compared with those already in the system, to see if he or she has either applied for asylum already or crossed the border irregularly. This is taken as evidence as regards which Member State is responsible for the asylum application under the Dublin rules. Eurodac can also be used for other purposes. In 2013, the Eurodac law was revised to give police forces and the EU police agency, Europol, limited access to the fingerprint data for the purposes of criminal investigations. Member States may choose to check the fingerprints of an irregular migrant against the system, for the purposes of identification, without storing that data. The proposed new Regulation would make some key changes to these rules. First of all, it would significantly enlarge the amount of personal data that will be taken and stored. Member States will have to take information on children from the age of six (rather than fourteen), and facial images as well as fingerprints. Eurodac will also now store data on the names, nationalities, place and date of birth, travel document information. For asylum-seekers, it will store the EU asylum application number (see the Dublin IV proposal), as well as information on the allocated Member State under the Dublin rules, for the first time. For irregular border crossers and irregular migrants, it will store the date of the removal from the territory. There will no longer be an option merely to check data on irregular migrants; rather Member States will be obliged to take and store this information. While the rules on police and Europol access to Eurodac data will not be changed as such (although the Commission will review those rules soon), there will be more personal data for them to access: they will be able to get facial image information, and more individuals will have their personal data recorded in Eurodac in the first place. Secondly, it will be possible for fingerprint data to be taken not only by national officials, but also (as regards asylum-seekers and irregular border crossers) by the new EU Border Guard and EU Asylum agencies. Thirdly, while asylum-seekers’ data will still be retained for ten years, data on irregular border crossers will now be retained for five years – up from 18 months at present. Data on irregular migrants will also be retained for five years. The data will be marked if a Member State gives a residence permit to an irregular migrant. Finally, Eurodac data will now be made available to third countries for the purposes of return, on certain conditions, including a refusal to disclose if the person who has applied for asylum. But the non-EU country might guess that the person has applied for asylum; in fact the EU’s procedures Directive requires that country to be informed of this in some cases. The Commission justifies these changes by the need to strengthen the EU’s return policy as regards irregular migrants, and to keep track of them if they make movements across the EU. It believes that taking fingerprints and photos of young children is justified for child protection reasons. Collecting personal data on facial images is justified because some persons refuse to have their fingerprints taken. This proposal obviously raises huge data protection issues, and it will be important to see what concerns are raised by national data protection authorities, as well as the EU’s Data Protection Supervisor. The arguments about child safety should be independently assessed by child protection experts. It is conceivable that taking facial images would avoid the need to insist upon taking fingerprints coercively, but it’s not clear why the Commission believes that storing data on names, birthdates et al is justified. The use of Eurodac to underpin EU return policy obviates much need to use or expand the Schengen Information System (which currently contains data on non-EU citizens who are meant to be refused entry) for similar purposes, and raises the question of whether there need to be two different databases addressing the same issue. The choice between the two databases is particularly significant for the UK, since it will have access to the Eurodac returns data (if it opts in to the new proposal), but doesn’t have access to the immigration alerts in the Schengen Information System, and indeed can’t have access to those alerts unless (rather improbably) it fully joins Schengen. (However, the UK does have access to the criminal law alerts in the Schengen Information System, such as alerts on suspected terrorists: see my further discussion here. It could lose that access after Brexit, as I discuss here). As noted at the outset, the amendments to the Dublin Regulation essentially aim to entrench the EU/Turkey deal and to save Schengen by deterring secondary movements of asylum-seekers, while also making a fresh attempt to establish relocation rules. To accomplish each of these objectives, the Commission proposes an extreme solution which is probably legally and/or politically unfeasible. Let’s examine each element in turn. In order to entrench the EU/Turkey deal (and possibly future heinous deals with countries like Libya), the proposal transforms a current rule which gives Member States an option to apply to state that a non-EU state is a ‘safe third country’ for an asylum applicant in accordance with the asylum procedures Directive, rather than send the applicant to another Member State or consider the application after a transfer from another Member State under the Dublin rules. The CJEU recently took a permissive view of this provision (Mirza). In place of this option, there would be an obligation to assess the inadmissibility of an application on ‘safe third country’ or ‘first country of asylum’ grounds before applying any of the rules on responsibility for applications. This confirms the current practice as regards asylum-seekers coming from Turkey to Greece, which aims to return as many of them as possible to Greece despite the dubious designation of Turkey as a ‘safe’ country for asylum-seekers. This doesn’t matter much in cases where Greece would anyway be responsible for considering the application under the Dublin rules, because it was the first country where the applicants entered. (Moreover, due to recent closure of the Greece/Macedonia border and other controls and fences on internal and external Schengen borders, it’s now very difficult to leave Greece even for those asylum-seekers not in detention). But contrary to popular belief, that is not the only ground for assigning responsibility under the Dublin rules. There’s also an obligation to bring family members together, where one of the family members has status as a refugee or asylum-seeker or otherwise has legal residence in another Member State. The Mirza judgment did not address whether these family rules take priority over the ‘safe third country’ option, but the Dublin IV proposal is clear. If a case is inadmissible on the dubious ‘safe third country’ or ‘first country of asylum’ rules, then the Member State in question is responsible, regardless of the family or humanitarian clauses in the Regulation. It’s arguable that this is a breach of the right to family life set out in the EU Charter of Fundamental Rights. But it’s certain that this change completely undercuts the broadening of the definition of ‘family member’ contained in the Regulation – extending it to cover siblings and families formed after leaving the country of origin (while Syrians were living in Turkey, for instance). Those changes therefore amount to a legal ‘Potemkin village’ – a cynical façade intending to mislead a naive onlooker. It might be argued that family members should not be encouraged to pay smugglers and take unsafe routes to reach their loved ones who are already in the EU. Fair enough – but in that case, the EU should take steps to ensure their safe passage (note that the EU’s family reunion Directive requires Member States to admit family members of refugees). There’s nothing in this week’s batch of proposals to do that. The EU’s informal arrangements with Turkey do provide for ‘nuclear family’ members as one category of Syrian refugees to resettle. But these arrangements are not binding and (at time of writing) not even officially published (see this entry in the Council register of documents). They only apply to the ‘nuclear’ family, and only for Syrians. Next: the attempt to deter secondary movements of asylum-seekers, in order to reinstate the Schengen system. Most notably, there will be punishments for asylum-seekers who do not stay in the responsible Member State. In that case the asylum procedure will be accelerated, and they will lose all benefits (health, education, welfare and accommodation) except for emergency health care. (However, the grounds for detention of asylum-seekers in the Dublin Regulation will not change – though the future proposal to amend the reception conditions Directive might seek to amend the detention rules there instead.) This will overturn the CJEU ruling in CIMADE and GISTI, which was based on the right to dignity in the EU Charter. Let’s put it plainly: asylum-seekers who flout the Dublin rules will be left to starve in the streets – even children, torture victims and other vulnerable people. And fast-tracking their asylum application implicitly aims at refouling them to their country of origin, with only limited suspensive effect of any appeal to the courts. The violations of the Charter don’t stop there. According to the CJEU case law on the current Regulation, unaccompanied minors can move to another Member State and apply there. This ruling (MA) is also based on the Charter (rights of the child), but the Commission wants to overturn that too – in the process trashing its own proposal dating from 2014. Again, any attempt to argue that this aims to protect children by deterring them from moving is undercut by the prioritisation of inadmissibility rules over family reunion rules (even for unaccompanied children), as well as the failure to insert rules to ensure that the Dublin family rules are actually applied (such as the recent UK ruling on a requirement for DNA tests). 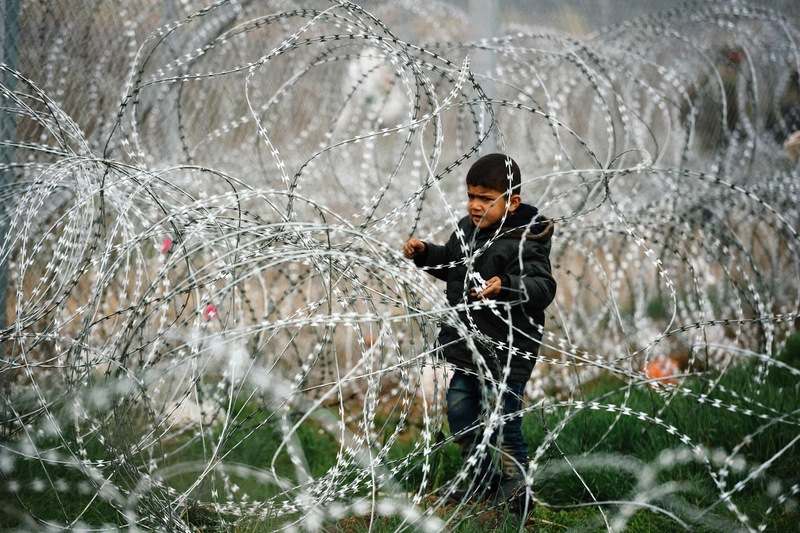 If the EU and its Member States care so much about asylum-seeking children, why have they detained so many in Greece in poor conditions, and shrugged as so many suffered in northern Greece – shirking the legal obligations which they accepted to relocate them? Furthermore, the proposal limits both the substantive and procedural remedies for applicants. They will only be able to challenge a decision on the responsible Member State on the grounds that the asylum system has broken down, or that they should be with their family member. This overturns the opinion in the pending cases of Karim and Ghezelbash (although it is possible that the Court will not follow this opinion). Also, they will only have seven days to appeal: this risks a breach of the Charter right to an effective remedy, given that in the Diouf case the CJEU found that a 14-day time to appeal was acceptable. The proposal doesn’t only aim to restrict asylum-seekers in order to ensure that Dublin works effectively; it will also restrict Member States to the same end. The essentially unlimited discretionary ‘sovereignty’ and ‘humanitarian’ clauses will be amended to severely limit the circumstances in which a Member State can examine an application that is not its responsibility. If Angela Merkel (improbably) wanted to repeat her open-door policy of summer 2015 in future, the proposal would make that illegal. Various deadlines for Member States to act would be speeded up (although Member States have said before that this is impractical). Conversely, other rules which limit Member States’ obligations will be dropped: there will be longer periods of responsibility after issuing a visa or residence permit, and responsibility for those who cross a border without authorisation, or who abscond or who leave the EU and then come back, will be endless. This brings us to the relocation rules. These will be triggered once a Member State is responsible for more than 50% of the asylum applications which objective criteria (based on income and population) indicate that it ‘should’ be responsible for. In other words, if Greece ‘should’ be responsible for 50,00 asylum applications under those criteria, other Member States would be obliged to relocate asylum-seekers from Greece once it was responsible for 75,000 applications. But Member States can't relocate asylum seekers whose applications are inadmissible under the new rules discussed above, so this may have little impact on Greece anyway. Indeed, if the EU/Turkey deal breaks down, the combination of these rules would in principle put Greece in a worse position than it is currently. A new emergency relocation Decision would have to derogate from the Dublin rules again. Then the proposal becomes truly surreal. The Commission suggests that Member States may opt out of relocating asylum-seekers, but they will have to pay €250,000 per asylum-seeker if they wish to do this. This is a fantasy on top of a fantasy. Member States have already shown that they are unwilling to apply the relocation Decisions of last September, or to adopt the proposal to amend the Dublin rules to this end that was tabled at that time. The idea of financial contributions in place of accepting individuals, whatever its merits, is perceived to be a ‘fine’ and was already rejected by Member States last year. That idea will not suddenly appear more attractive to Member States by doubling down on it, and suggesting a contribution set at an obviously absurd and disproportionate level, which the Commission does not even try to justify. So why did the Commission jump the shark here? Perhaps someone in the Commission lost a bet. Or perhaps this is a legislative homage to the Belgian surrealist tradition of Magritte, et al. More seriously, it might be intended as a negotiating position. But such a ridiculous position will just backfire: it’s as if management started the latest pay talks with the unions by arguing that the workers should start paying the company for the privilege of working there. Or perhaps it’s a subtle way of addressing Greece’s debt problems: rejecting the relocation of a mere 10,000 asylum-seekers from Greece would transfer €2.5 billion to the Greek treasury – where it would rest briefly on its route to Germany. I have another theory, well known to followers of British politics. Maybe the €250,000/person proposal is the Commission’s equivalent of ‘throwing a dead cat on the table’. The phrase is borrowed – like the EU’s current asylum policy – from Australia. It means that if the political conversation is particularly damaging to a certain politician, an ally of that politician suddenly does or says something outrageous. Everyone will start talking about that outrageous thing, just as they would be talking about the unfortunate feline; which means that no-one is talking about the original issue any more. In this case, it means that everyone is talking about the €250,000 – and no-one is talking about the suspension of Schengen, or of the families who would be split up, or the people who would be made hungry and homeless, by the Commission’s Dublin IV proposal. The Commission’s proposals are not a done deal, of course. Some Member States and Members of the European Parliament have misgiving about a visa waiver for Turkey, on migration control or human rights grounds. MEPs fought for years for many of the provisions in the Dublin III Regulation (on family members and unaccompanied minors in particular) which the Commission now seeks to overturn. As I pointed out above, some of the proposed changes to the Dublin rules are highly vulnerable to challenge in the CJEU, if adopted. The red herring of a €250,000 sanction is already floating on the surface of the pond. And the whole EU/Turkey deal might anyway be overturned at the whim of Turkish President Erdogan – the only politician whose ego makes Donald Trump’s look small by comparison. Nevertheless, EU asylum policy is already becoming more Orbanised in practice, and I would expect at least some elements of the further Orbanisation proposed by the Commission to be adopted. For over twenty-five years now, the EU and its Member States have been attempting to get the Dublin system to work. The continued abject failures of those attempts to get this pig to fly never seem to deter the next attempt to launch its aviation career. With this week’s proposals, the Commission is in effect trying to get the poor beast airborne by sticking a rocket up its backside. It might be best to stand back. Not only is this a continuation of the failed and anto-communitarian policies of the Dublin Convention and the Fortress Europe mentality, but it is also a clear indication of the primacy of extreme Right approaches now being touted as European Union policies. What I wonder, as a non-lawyer, is how consistent all of this is with the Treaty obligations of the EU wrt the 1951 Convention and the ECHR. Is the Commission failing to uphold the Treaties by allowing this anti-refugee approach to go through? If the Dublin proposal is adopted, I would expect arguments like these in the courts - it would be up to them to rule on this at the end of the day. on C-695/15,for example:61......a presumption of inadmissibility of the application for international protection submitted by an applicant having arrived in its territory from a safe third country, defined as such by that legislation, the lack of such communication cannot impair the applicant’s rights. Could this presumption be questioned by the ECtHR on the basis of the template related with the MSS case? That's the Mirza case (referred to in the blog post). The CJEU could be asked to clarify the substantive interpretation of the 'safe third country' clause; or the ECtHR could be asked to rule on whether a particular removal would breach Article 3 ECHR, in light of conditions in the relevant country. Could I add here the Over-Orbanisation of Greece, with the characterization of Turkey as a safe third country. Hungary does not consider Turkey to be a safe Third country. It's Hungary's categorisation of Serbia as a 'safe third country' which was the template. The Mirza judgment I refer to, which is the basis for a key part of the Commission's proposals, was a Hungarian case. Great post. Thank you for sharing your view on the latest EU asylum law proposals. Very interesting blogpost,thank you for that. Could you maybe shortly express your view on how the relocation rules should be reformed than? What would be a more feasible key for the distribution of responsibility? (a complete overhaul of the Dublin criteria?) And would a more proportionate 'financial contribution' than the draconian €250.000 still be an option to enforce greater solidarity? I am not convinced that the relocation rules can work at all, in light of the experience to date. The problem isn't the concept of relocation, it's Member States' unwillingness to apply the rules. There's also logjams at the end of asylum applications not being made or processed, which possibly can be improved. In terms of the criteria the proposal goes in the wrong direction in my view. It would make more sense to provide for possibilities for asylum-seekers to indicate a preferred country (or a list of most preferred countries) and then try to match it if possible. I believe that the best way to stop people moving between countries is via means of carrots, not sticks - ie try to find a way to ensure that asylum-seekers are sent to a country they will accept being in from the first place. The relocation issue doesn't matter so much if there are fewer people coming and/or staying because of the EU/Turkey deal, but we will see how legally viable and lasting this deal proves to be in practice. "Angela Merkel’s government is now working on a “Plan B” in case the deal collapses, German reports said this week. What's your opinion on this Plan C according to your Classification? Is this a credible piece of information? This story has been in several media sources so I think it must come from official channels. The question is whether it is a serious plan. There would be difficult issues if Greece refused to go along with it - but according to some press reports the money for Syrians in Turkey would instead go to Greece instead, which would be significant. Returning people to home countries is going to be difficult in many cases either because those countries don't cooperate or more profoundly because those countries aren't safe - in which case return should not be taking place at all according to human rights principles. This is all part of an endgame to the EU/Turkey talks in which the question is whether Turkey or the EU blinks first (or at all) as regards the quid pro quo of freedom of expression as a condition for the visa waiver. Instead, Athens has approved more than 30 per cent of the 600 asylum applications from Syrians that have been assessed since March 20, a significantly higher percentage than anticipated, according to European officials and aid workers. While the slow pace of returns will irk many in Brussels, Greek officials say it reflects their own policy on asylum requests. They dismiss fears that the deal between the EU and Turkey could collapse if the trend continues — leading to a fresh influx — and stress that Greece’s migration laws do not recognise Turkey as a safe third country for refugees. Your views please on this? Another Chicken game? But I have seen documentation refusing Syrian refugee claims in Greece on grounds that Turkey is a safe third country. Considering that the total recognition rate of Syrians in Germany was 94% and 60% even in Greece for 2014, a first instance rate of 30% now (when the Syrian civil war is clearly creating refugees) is outrageously low. And Greece has been returning Syrians to Turkey anyway. You may be talking about those who arrived before March 20, and who are not being deported. On top of this, the Turks are physically (and violently) preventing refugees from coming into the EU -- while affording them little or no protection in Turkey. Game of chicken? More like a sacrificial slaughter of Europe's human rights provisions, with the fascist right applauding in satisfaction. The claim by Greek officials that this reflects their own policy can only be seen as political management. It has nothing to do with reality. Thus, the over-orbanisation of the Greek asylum system is a fact despite propaganda tricks through the Financial TIMES? It is depressing to see a country suffering from human rights violations under the troika regime to become a perpetrator against refugee rights! The proposals says: "The allocation mechanism referred to in this Chapter shall be applied for the benefit of a Member State, where that Member State is confronted with a disproportionate number of applications for international protection for which it is the Member State responsible under this Regulation." But it seems that the mechanism should apply also to other applicants for whom other Member States would be responsible - under Art. 10-13, 18. It seems a bit contradictory > see 38 (a) + 39/1 (d)(e).